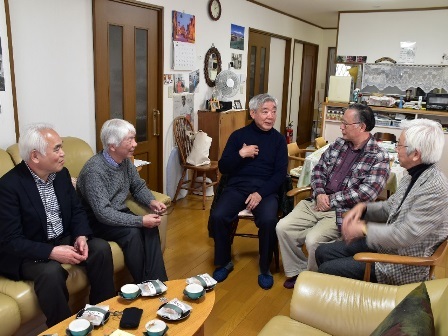 Six former students of Professor Takao Kitamura held a reunion and heard Mr. Mihashi`s life story including his executive business trips abroad for famous Isetan Department Store. Click here for a Japanese text. On 3 December 2017, five students visited Mr. and Mrs. Toshio Mihashi at their residence in northern part of Tokyo. 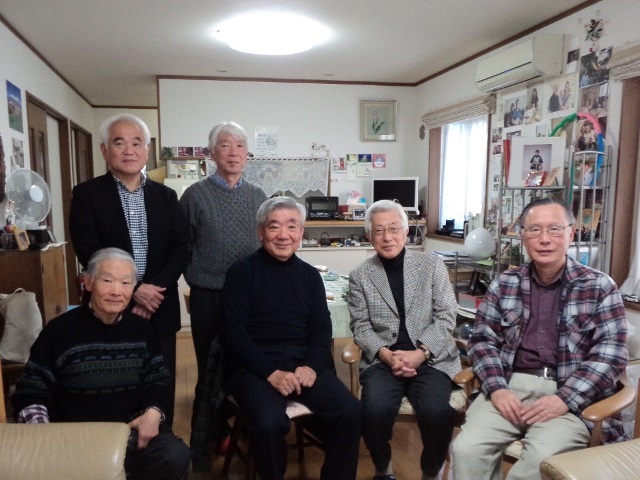 They are members of the Kitamura School who studied English under Professor Takao Kitamura in the 1960’s. Mr. Mihashi told them how he had visited Italy and other parts of Europe in buying trips for fashion clothes. He mentioned a famous fashion designer in England chose his company for selecting newly designed collection and materials. Mr. Toshio Mihashi, Sukehiro Hasegawa and Mr. Hiromichi Hashizume. Photo taken by Mr. Takayuki Uno. This is a photo taken by Mr. Hashizume. with his smartphone. thank you for sharing these awesome photos! wishing you all an early happy Christmas!